After seeing her parents murdered, sixteen-year-old Helen Cartwright learns she is one of three remaining angelic descendents charged with protecting the world, but nothing can save her from being torn between new friend and fellow Keeper Griffin and childhood friend Raum, who has joined forces with her parents' killers. In Buenos Aires, where her father is the legal attaché at the U.S. Embassy, sixteen-year-old Tess falls in love and tries to live the fast and free life of her friends until she discovers the devastating consequences of ignoring rules. Sent to investigate a mystery with supernatural overtones, Hellboy discovers the secrets of his own origins, and his link to the Nazi occultists who promised Hitler a final solution in the form of a demonic avatar. When Laura della Scala's older sister drowns, Laura leaves the shelter of the convent where she has spent the last six years and enters the upper echelons of sixteenth-century Venetian society, while she searches for the truth about what happened to her sister. 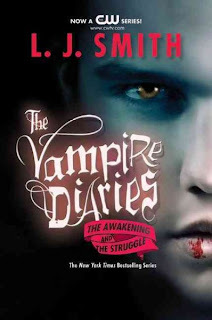 Two vampire brothers compete for high stakes--the love of Elena Gilbert, a beautiful high school senior who is searching for excitement. Adopted from a Russian orphanage by a wealthy New York family then growing into a rebellious street youth, fifteen year-old Wally resolves to find the birth mother who stole a fortune from her murderous, dark-eyed father. A collection of "Star Wars" stories from the late 1970s and early 1980s and beyond in these omnibus editions as released by Dark Horse. Bria, an aspiring artist just graduated from high school, takes off for Central America's La Ruta Maya, rediscovering her talents and finding love. High school sophomore Ori Taylor, lead singer, guitarist, and songwriter in a nameless rock band, has always been known as the easily-overlooked younger brother of Del, a high school sports star, but when Del suddenly returns home from college just as Ori is starting to gain some confidence in himself, Del expects everything to return to the way it used to be. Sixteen-year-old Bianca, a new girl at the sinister Evernight boarding school, finds herself drawn to another outsider, Jared, but dark forces threaten to tear them apart and destroy Bianca's entire world. After she is in a horrific car crash when drunk, Los Angeles high school student Gabriella Gardiner assumes she stole her rich boyfriend's car and smashed it into a tree, but she cannot remember anything about the events of the evening.